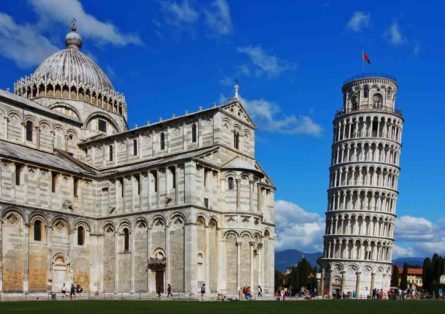 This UNESCO World Heritage Site is one of Italy’s best examples of Romanesque architecture. From Pisa, you will proceed to Lucca, a true Tuscan jewel, known above all for the perfectly preserved wall constructed in the 16th century that surrounds the entire city center. Travelers adore walking or biking around the wall’s perimeter and strolling through the pristine streets and beautiful shops throughout town.Walk along the top and admire a panorama of the entire city from above! Enjoy lunch at a local trattoria and be sure to make time for the Cathedral of San Martino and San Michele al Foro, as well as the ancient Roman amphitheater and the birthplace of the famous composer Giacomo Puccini. This excursion is organized with pick up/drop off in Florence. Price may change for a different pick up/drop off location.